PM welcomes ceasefire brokered by trump and Putin, warns against Iranian military presence in Syria. 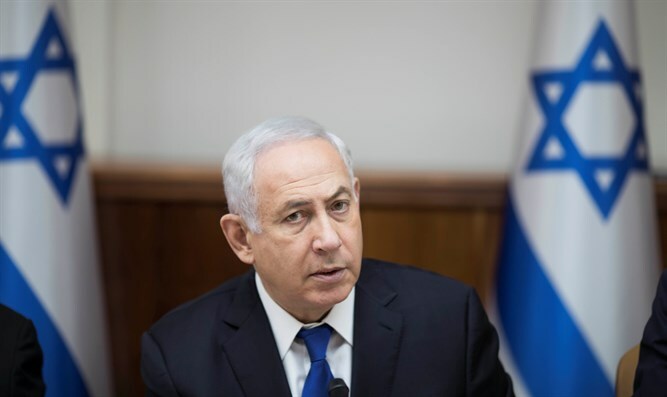 JTA - Prime Minister Binyamin Netanyahu said Israel will welcome a “genuine ceasefire” in Syria. Netanyahu’s comments came on Sunday as a ceasefire brokered by the United States and Russia came into effect in southwest Syria, near the border with northern Israel’s Golan Heights. “Israel will welcome a genuine ceasefire in Syria but this ceasefire must not enable the establishment of a military presence by Iran and its proxies in Syria in general and in southern Syria in particular,” Netanyahu said Sunday during the weekly Cabinet meeting. The ceasefire was announced on Friday in Hamburg after Putin and President Donald Trump met on the sidelines of the G-20 conference. It went into effect at noon on Sunday. Jordan also has been seriously involved in the talks over the cease-fire, which began several months ago and took Amman’s security concerns heavily into account, according to reports. Rocket or mortar fire — believed to be stray fire from the fighting between rebels and the Syrian army in the area that is now under ceasefire — has struck the Golan Heights numerous times in recent months. Israel’s military has responded to all of the incidents.